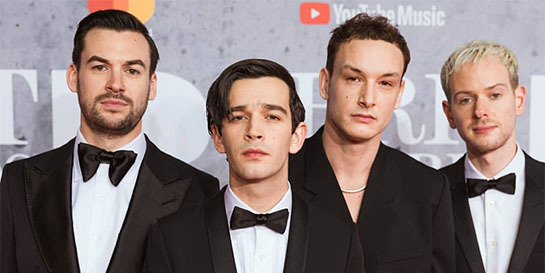 The Manchester band picked up the British Group award for the second time in their career on Wednesday night, with frontman Matty Healy taking the opportunity to share an important message on misogyny in the music industry. They later collected the coveted Album of The Year award for their chart-topping third studio album A Brief Enquiry Into Online Relationships and took to the stage to perform Sincerity Is Scary. Among the other performances, Capitol’s Sam Smith shared the stage with big winner Calvin Harris for a performance of Promises, their summer single that spent six weeks at number one. Island saw their North American artists triumph on the night, with Drake scoring International Male and Ariana Grande thanking Universal and the Island UK team after being announced as winner of International Female. Polydor were also celebrating 2019 Critics’ Choice winner Sam Fender who received his award in December. As the 39th Brits ceremony drew to a close, a VIP crowd of artists, models, actors and influencers headed to the Universal Music After Party to celebrate one of the biggest nights in music.